24+ Seeds. The vines grow 8 to 12 feet and have a profusion of blooms that are crimson red with a white center and 2 to 3 inches across. Perfect for covering a fence or trellis! Get creative with these; how about covering your mail box or clothes line posts with flowers? 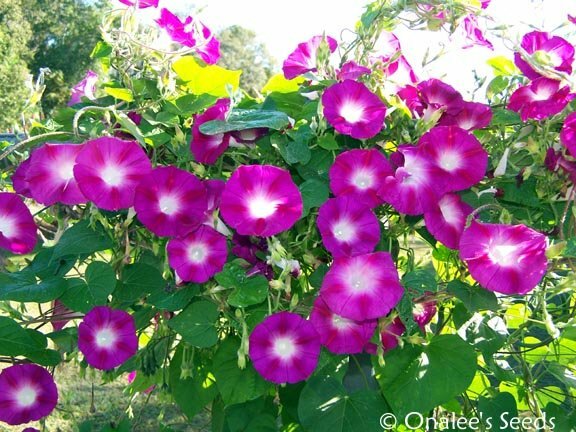 24+ CRIMSON RAMBLER MORNING GLORY (Ipomoea purpurea) SEEDS PLUS planting instructions. These are annuals, but readily self-sow for even more vines the following year! Once a staple in every grandmother's garden, these beautiful vines have fallen by the wayside and these heirloom seeds are becoming harder to find. 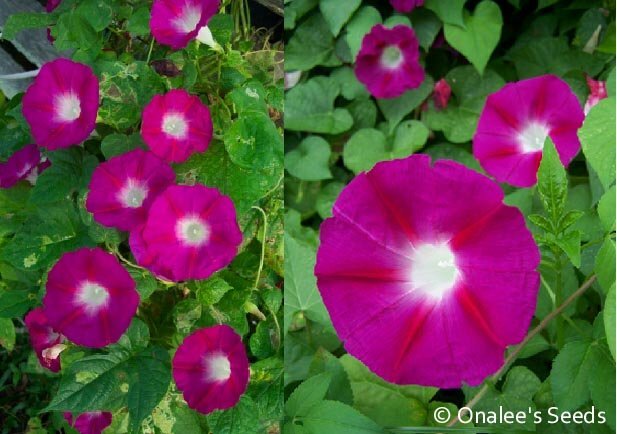 It's a shame, because these morning glories are truly glorious and it's time for them to make a come back! The vines grow 8 to 12 feet and have a profusion of blooms that are crimson red with a white center and 2 to 3 inches across. Perfect for covering a fence or trellis! 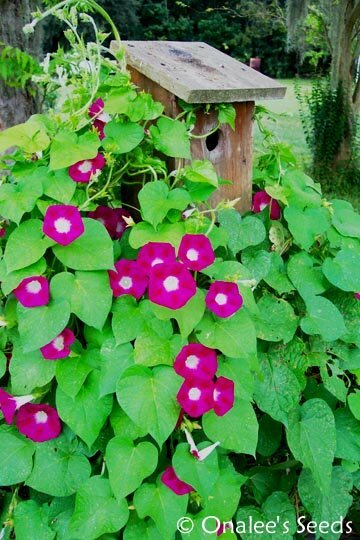 Get creative with these - how about covering your mail box or clothes line posts with flowers ? what about that light pole or even a dead tree in your yard? I have found they need very little care and yield LOTS AND LOTS of blooms. They grow best in sandy average soil and in full sun, but are also happy in partial shade. Easy and fun for new and old gardeners alike . . . even the kids will love these!